Do you want your Dalmatian to look well-groomed and neat? 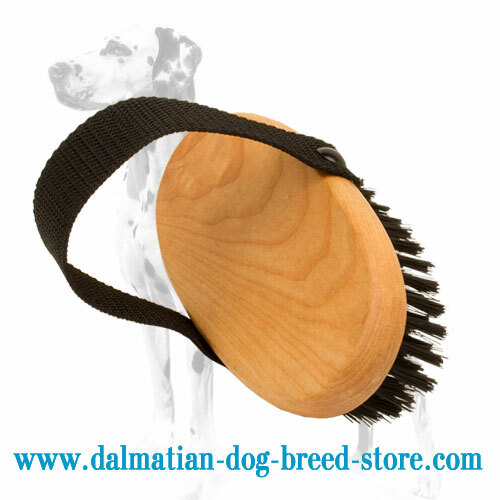 This bristle brush will help you groom your dog in the best way! Your doggie will love the procedure of grooming as this brush provides pleasant massage, stimulating blood circulation and taking dead hair out. Designed with the special handle, the brush is very convenient in use: it won't slip off your hands during the grooming process. The brush is high dense bristle on the wooden basis. It is of convenient size and weight and will serve for long due to high-quality materials. Sometimes dogs negatively perceive first contact with brush, that's why it's vitally important to make this procedure as pleasant as possible to show the dog that combing is not a thing to be afraid of. That's why this brush is an excellent choice! 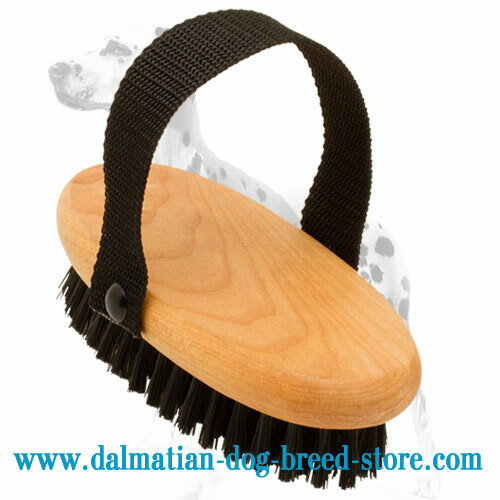 It is designed specially for short-haired Dalmatians. 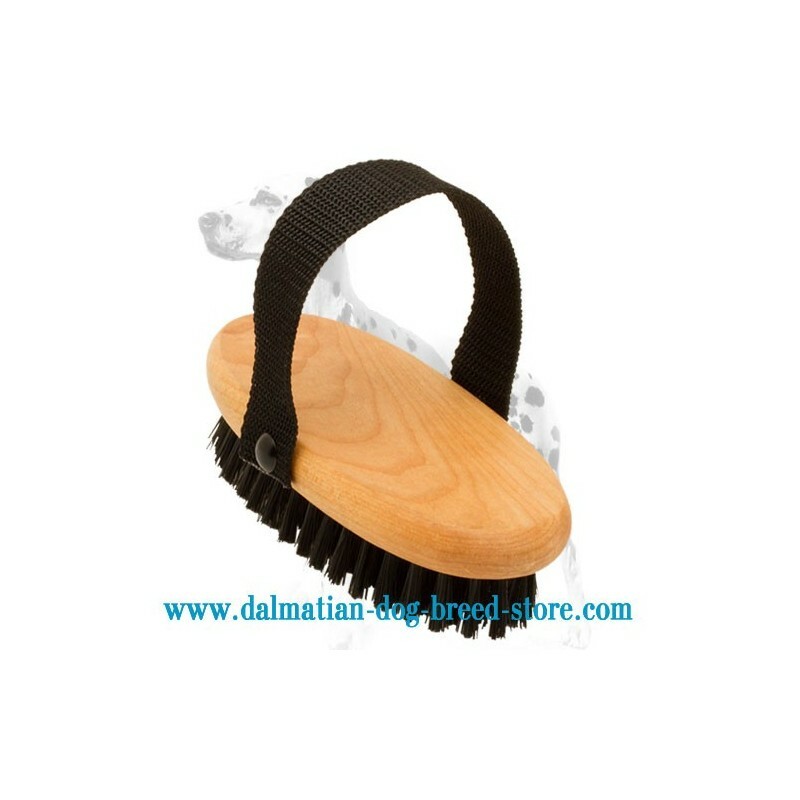 Dense and soft bristle removes dead hair and dirt providing relaxing massage to your doggie. 1. Brush the dog on the face with gentle movements to remove loosened hair. 2. Brush the ears and back in the direction of neck. 3. Work the sides from up to down. 3. It would be very pleasant for your dog if you brush his chest and belly making him/her totally relaxed.